The Master Gardener program is now accepting applications for the 2018 class. Applications are due Sept 15- if you need an extension please ask. Class will start October 2018.  increase public awareness of healthy living through gardening. MGs also enhance communities through demonstration gardens and educational teaching. 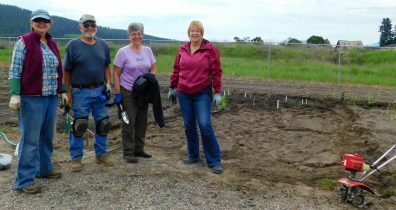 Whatever the priority need may be, if it can be addressed through gardening, WSU Extension Master Gardener volunteers are there to serve as part of the solution. The WSU Extension MG Program is open to everyone with an interest in gardening and a willingness to use their knowledge, experience and enthusiasm to make a positive impact on their local community. 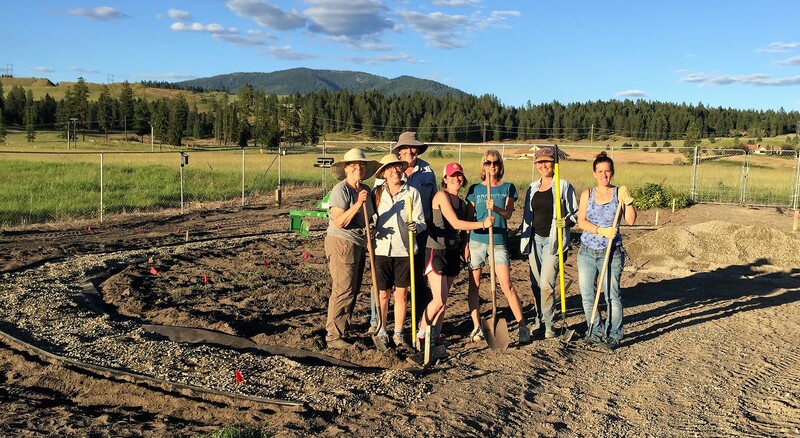 The WSU Master Gardener Program is open to anyone over the age of 18 who has a passion for gardening and a desire and willingness to use their experiences and knowledge to make a positive impact on Stevens County. If you are looking for a way to expand your current gardening knowledge and serve your community we hope you will consider joining our class. Volunteers must complete the required training and volunteer time to be certified as a Master Gardener. A fee of $135 is administered to cover part of the cost of materials provided during training and speaker fees.  Successful completion of the application and screening process.  Attendance at orientation and all training sessions. Classes usually run 15 weeks. Face-to-face class sessions occur every other week and are scheduled by class voting.  Successful completion and passing of online, open book quizzes and exams.  Signing of a Pest Control Recommendation Contract.  10 hours of continuing education are required each year. Many opportunities are provided through the Master Gardener Program and/or extension.  Communicate effectively with the public by telephone, personal contact, group contact, and/or written communication.  Keep accurate written records of volunteer service time and submit hours on a regular basis.  Agree to follow published WSU recommendations for use of home horticulture pesticides (insecticides, herbicides, and fungicides). Training is estimated to require 120 hours. When satisfactorily completed, trainees become interns. Master Gardener interns complete 40 volunteer hours within 1 year to become Certified Master Gardeners. Certified Master Gardeners annually volunteer 40 hours and complete 10 hours of continuing education to remain in the program. A minimum of 10 people are needed to run the class. To become a Master Gardener Volunteer you first must complete an application. Because WSU Extension Master Gardeners volunteers work with children and the elderly, a criminal background check is required for all our volunteers. If selected as a potential Master Gardener volunteer you will be contacted with additional instructions. Those selected will be asked to review and sign the enrollment documents and pay training fees. Ask about availability of scholarships for training. Successful applicants must complete the Online Training course, attend scheduled classes, pass quizzes and exams, and volunteer the required number of hours in approved educational activities and document volunteer hours. Download Master Gardener 2018 Class application. Learn about what it is like to be a Master Gardener Volunteer by reading the volunteer description. Read about the history of the Master Gardener Program. If you are interested in the program please contact Adena for further information and to be added to the class contact list. If enough people are interested then a class will be held in 2018.